1. 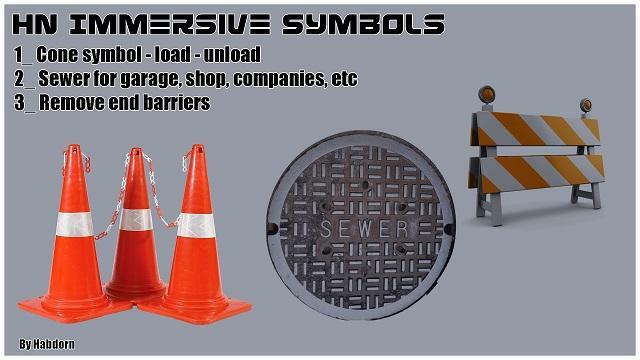 Replaces the icons of the garage companies etc, by a sewer cover that you can place on the floor. 2. Replaces the symbol for loading and unloading by traffic cones. To make a perfect shock make sure you get the rear wheels of the trailer to the rear cones.